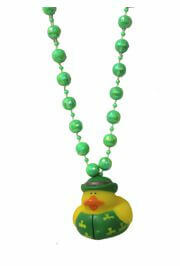 Get festive with our Mardi Gras Bird beads! 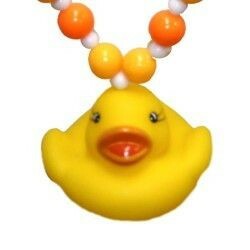 In our Bird Beads collection you will find Pretty Kitty beads, rubber duck necklaces, parrot necklaces, Flamingo necklaces, chicken beads and chicken necklaces, kitty necklaces, cat necklaces and cat beads, Pretty Kitty, and more. 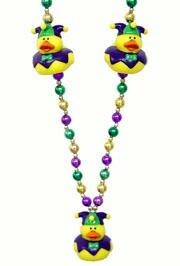 We have Mardi Gras beads in all colors and sizes, and even have disco ball beads. 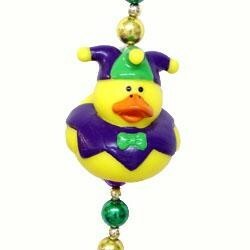 Emardigrasbeads.com for all of your Mardi Gras Bird Bead needs. |< << 1 >> >| Displaying 1 to 13 of 13 Items Found. 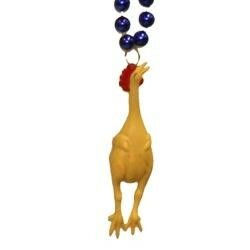 Each necklace has 3 plucked chicken medallions. 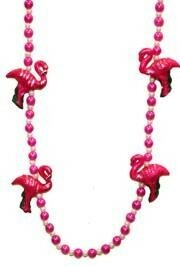 The bobbling flamingo necklace is 38in long with pink disco ball beads. This hand-strung specialty bead is 3-Dimensional. 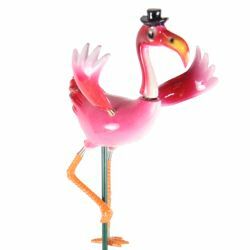 The flamingo bobbles as you walk. It makes a great Mardi Gras throw bead. It is also a great bead to use at luau or pool parties. This hand-strung specialty bead is 3-Dimensional. The parrot's head, tail feathers, and claws bobble as you walk. It makes a great Mardi Gras or Gasparilla throw bead. 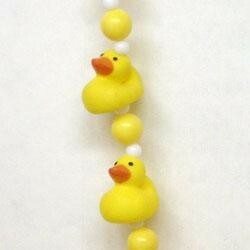 It is also a great bead to use as party favors at children's parties or any outdoor-themed parties. 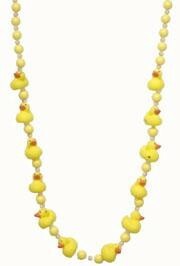 Yellow Rubber Duck Necklace is on 42in hand strung beads. 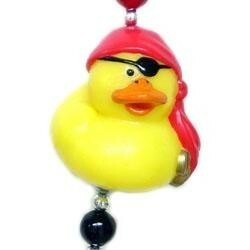 There are 3 Yellow Squeaky Rubber Duck medallions separated by yellow beads and orange beads. Styles may vary. 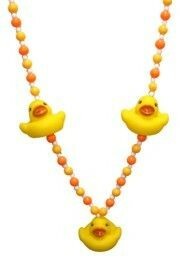 This Rubber Duck Necklace only comes with 3 ducks. 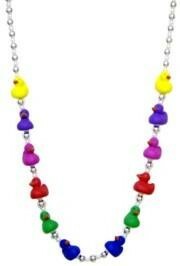 The Jester Rubber Duck Necklace is a great 42in Mardi Gras Bead. There are 3 Jester Ducks Medallions that are 2in tall. They are separated with gold, purple, and green beads. These hand strung specialty beads can be found in many collections including animal beads, bird beads, and children's beads. 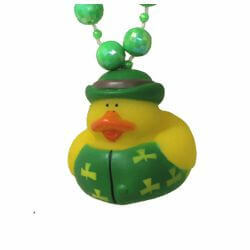 2in Yellow rubber duck in a green shamrock shirt and hat on 42in green beads. Great for St. Patrick's Day celebration. Ducks are 2in. COPYRIGHTED BY EFI 12/5/05. 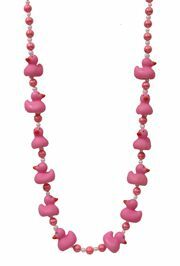 Pink Rubber Duck Necklace is a 42in Hand Strung Specialty Bead. 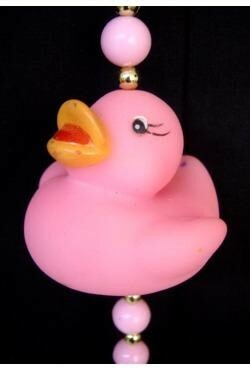 Hot Pink Rubber Ducks are separated by pink beads with gold spacers. 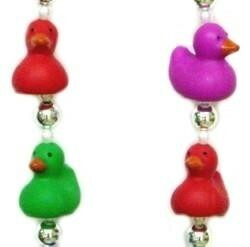 You will find these beads under our animal beads and farm animal beads collections. 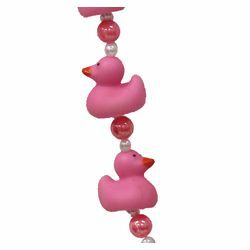 They are also great for Breast Cancer Awareness and Pink Ribbon Beads. 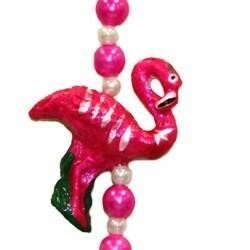 A unique 42in throw bead is the Flamingo Necklace. 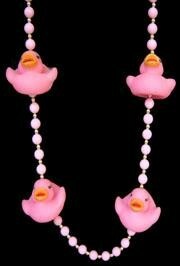 Separated by pink and pearl beads there are 4 pink flamingo medallions. 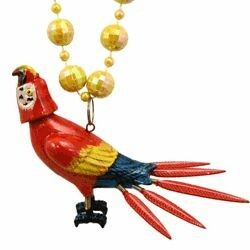 You can find this Mardi Gras bead in our bird beads and Luau Beads collections.Perfect to be offered as a Florida souvenir/ gift. 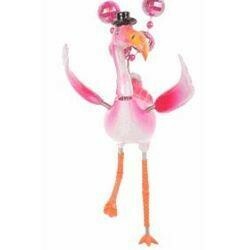 The head, wings, and legs of this plastic flamingo are attached to the body by springs and "dance" as you move the toy. Great table serving decoration. 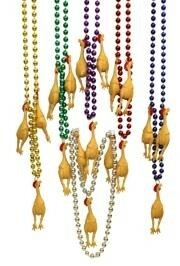 Perfect beads for children parades.